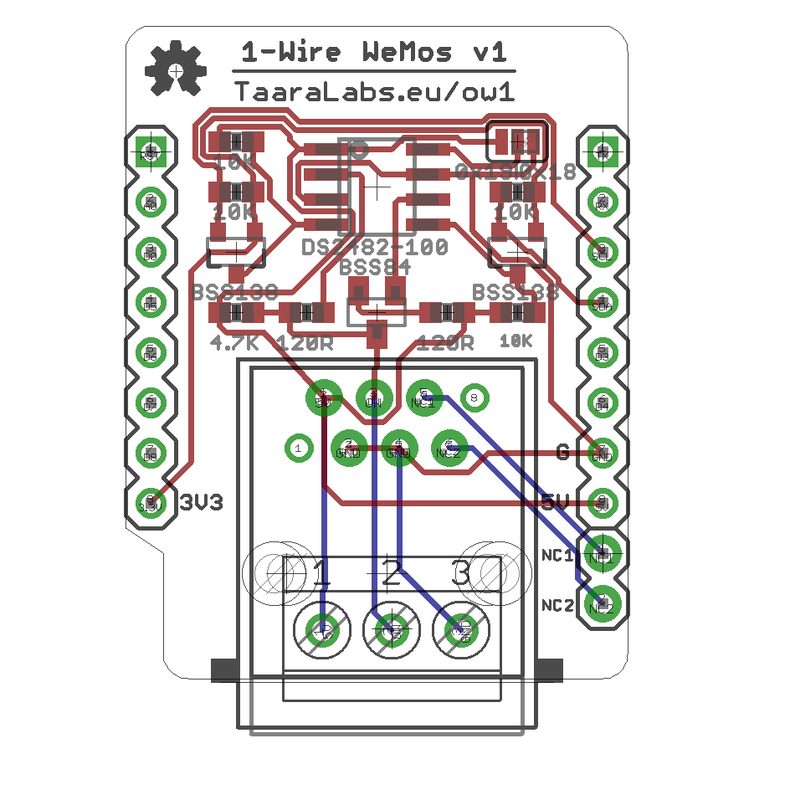 1-Wire Shield for WeMos D1 is 1-Wire to i2c bus converter board based on Maxim DS2482-100 Single-Channel 1-Wire Bus Master chip. 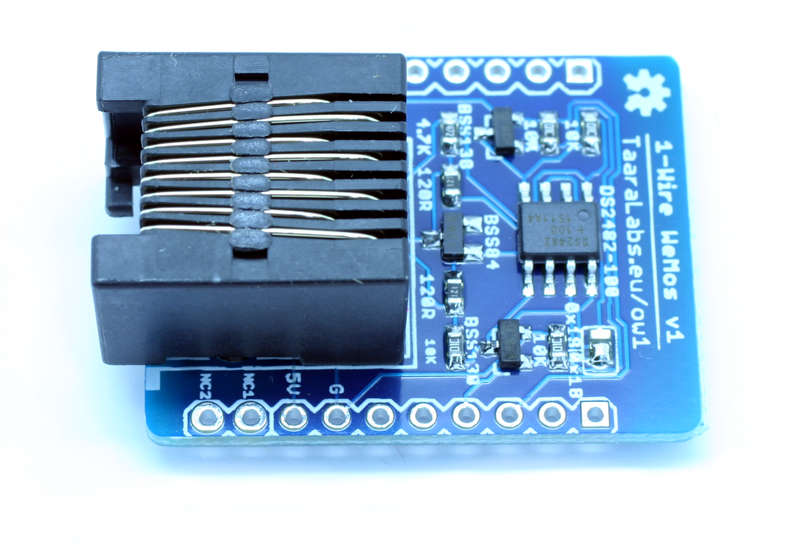 It is used to off-load the time critical 1-Wire waveform generation from the MCU to the 1-Wire Bus Master to achieve error free operation with longer 1-Wire bus situations. 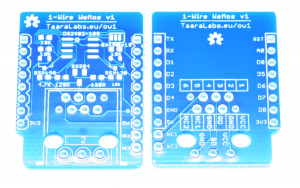 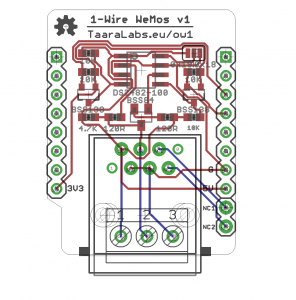 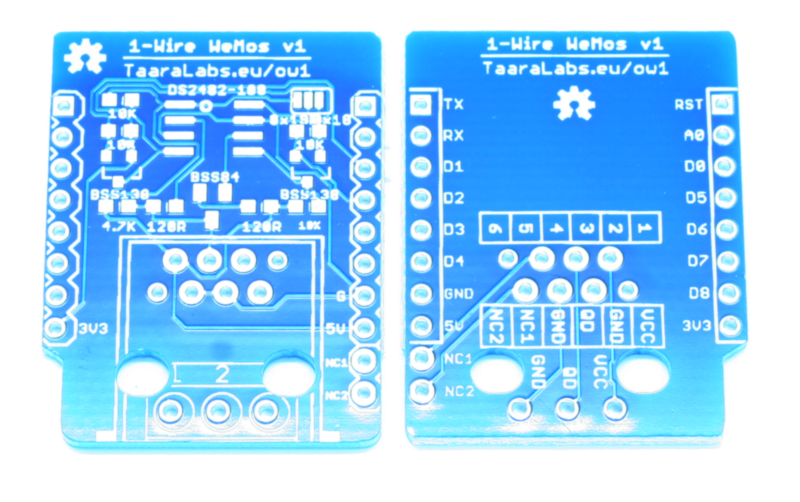 Board header layout is compatible with WeMos D1 mini microcontroller boards. 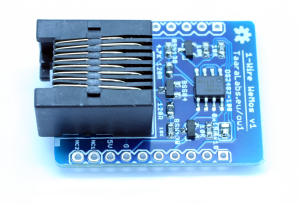 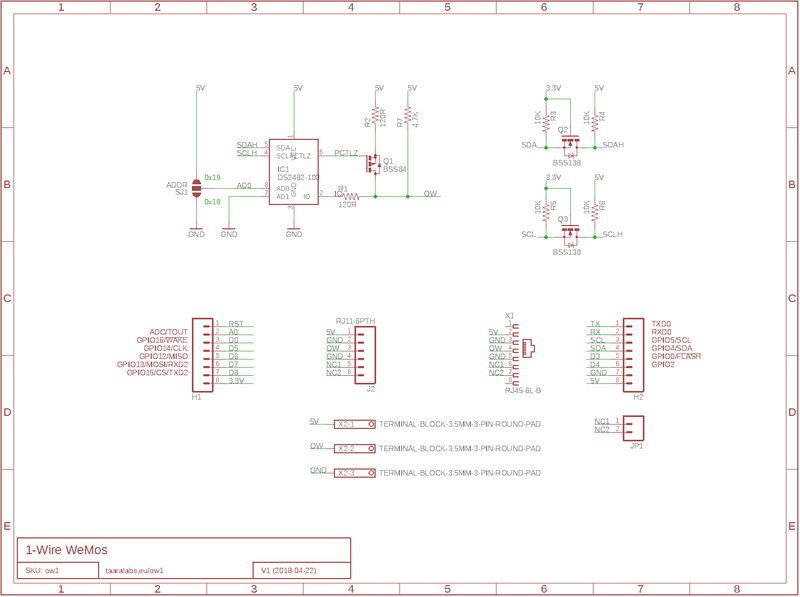 There is on-board strong pull-up mosfet and the level converter for 5V to 3.3V i2c interface.